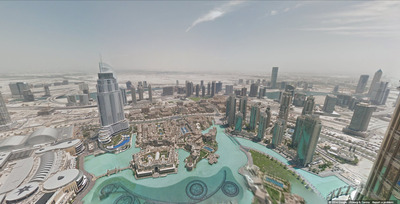 Google’s Street View team has been busy. 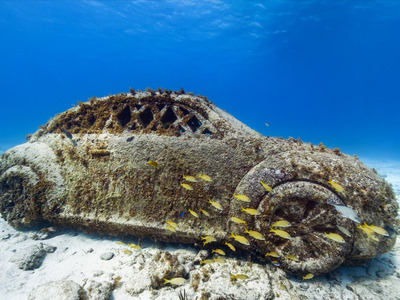 Leaving the street behind, Google’s photographers have visited some of the world’s most incredible locations, capturing beautiful panoramic photos along the way. 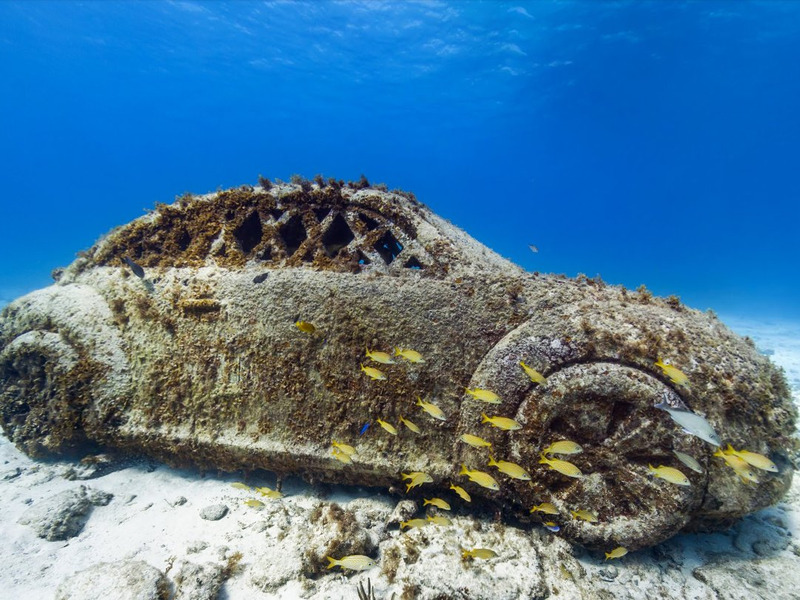 From underwater research bases and submarines to underground salt mines and luxury airliners in the sky, you’re guaranteed to see something you’ve never seen before. 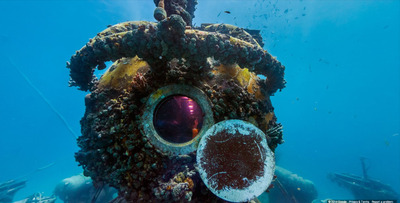 Here's an underwater view of the Aquarius Reef Base in the Florida Keys, where marine biologists and astronauts conduct research. 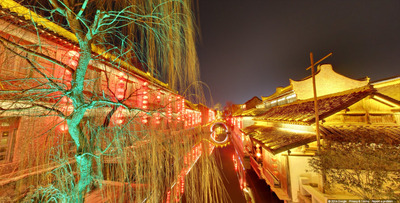 This is Taierzhuang Ancient Town, the only ancient city in China that can boast its own canal. This is the HMS Ocelot, a decommissioned submarine that participated in 'clandestine missions' for the Royal Navy in the 1960s. 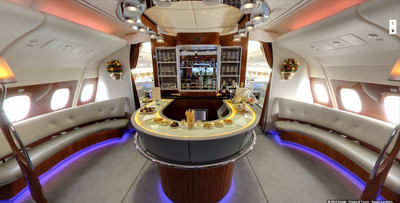 This is the bar aboard the world's largest passenger airline, the Emirates A380. 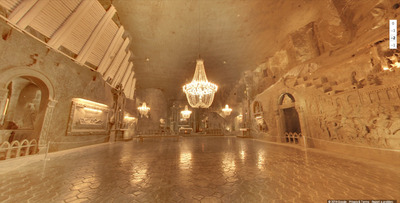 The Wieliczka Salt Mine in Poland was built in the 13th century and was used to mine table salt until 2007. 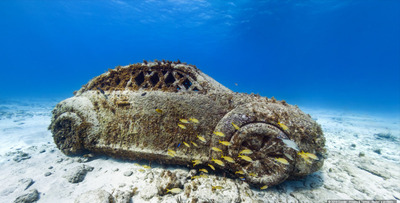 The Cancun Underwater Museum features pH neutral sculptures designed by Jason deCaires Taylor. 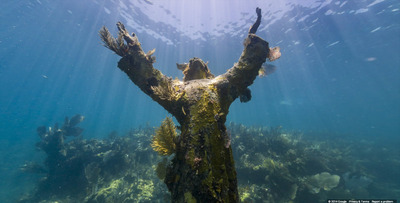 This bronze 'Christ of the Abyss' statue was placed on the sea floor of the Florida Keys in 1965. 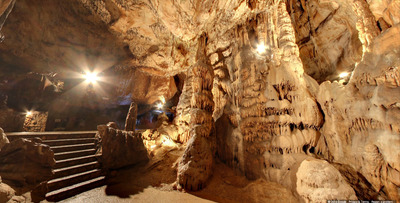 These are the stalactites of Jasovská Cave, the oldest publically accessible cave located in Slovakia. 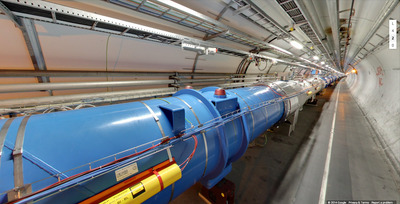 CERN is the world's largest particle physics laboratory, home to the world's largest particle collider. 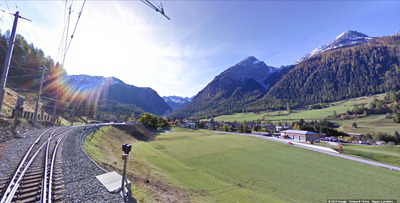 Here's a gorgeous view of the Swiss Alps from the tiny municipality of Bergün / Bravuogn, in Switzerland. Here's a view of from the maintenance unit of the Burj Khalifa in Dubai, the tallest man-made structure in the world. 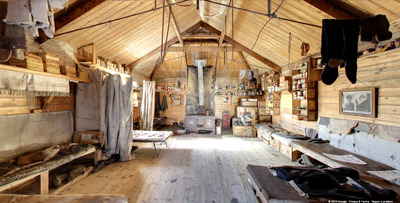 This is Shackleton's Hut, used as a base by the explorer Ernest Shackleton as he raced to the South Pole during the 1907 Nimrod Expedition. 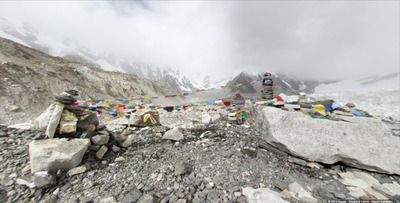 This is one of two Everest Base Camps, where mountain climbers rest and acclimate before ascending Mount Everest. 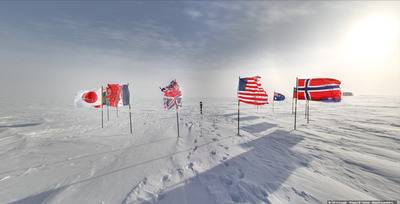 This is the ceremonial South Pole, encircled by the 12 flags of the original Antarctic Treaty nations. 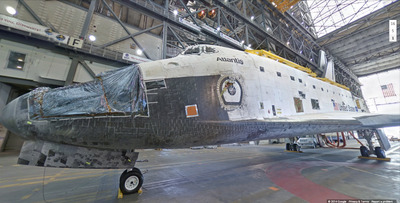 This the space shuttle Atlantis, located at NASA's Kennedy Space Center. Atlantis was also the final space shuttle mission. 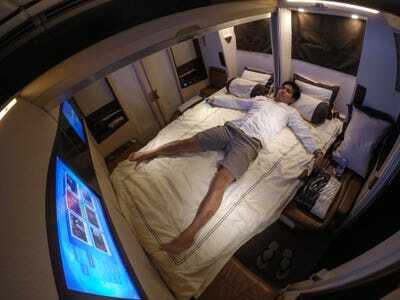 Want to see what it's like to travel in luxury?